The Kirkwood Call newsroom at Kirkwood High School. The Missouri Senate is expected to consider a bill to prevent public-university and high school administrators from censoring articles from student journalists. State senators have failed to call up the Walter Cronkite New Voices Act for a vote every year since 2016. The Missouri House of Representatives endorsed the bill last month for the fourth time. A hearing has yet to be scheduled in the Senate. The bill’s sponsor, Rep. Craig Fishel, R-Springfield, said he is “knocking on every senator’s door,” hoping it will pass. For Fishel, the bill is personal: His wife, now retired, would tell him about cases where school officials censored her students when she was a journalism teacher in Springfield. The Cronkite New Voices Act is part of a nationwide movement to give student journalists the same First Amendment rights as professionals. Currently, 14 states have passed New Voices laws, according to the Student Press Law Center. This year, advocates have or will be introducing versions of the bill in 11 states, including Missouri. At many public schools in the St. Louis area, newspaper advisors say school officials aren’t censoring student journalists. Some school districts around St. Louis have passed their own rules prohibiting school officials from conducting prior review — which is when administrators demand to read, view or approve articles before student journalists publish them. The Rockwood School District adopted a policy in 2008, that says “official publications are not subject to review prior to publication or distribution.” The Clayton school district set a similar rule, but student journalists may be disciplined if they publish work that administrators consider obscene or libelous. Erin Sucher-O'Grady, a journalism teacher at Clayton High School, said the district’s school board passed the policy in 2002 after a former principal wanted to institute prior review for the school’s yearbook. At other student newspapers in the St. Louis area, school district policy allows administrators to conduct prior review. Ladue district policy says that student publications are “part of a curriculum and not a public forum for general student use.” The Webster Groves policy is that “students may be required to submit publications for approval prior to distribution.” Meanwhile, the Parkway School District policy for student publications states that the principal can “withhold permission to publish or distribute” student articles. Students may appeal the decision to the school district superintendent, who has the final say on whether to restrict material. But, according to student newsroom staff at schools within these districts, student journalists and school officials have agreed that administrators won’t have oversight in the reporting process. Student editors and advisors at Ladue Horton Watkins and Webster Groves high schools said that administrators recognize their publications as “open forums” and choose not to review articles by students journalists prior to publication. “It’s just an understanding that I have with my administrators that my students have with them as well,” said Sarah Kirksey, the Ladue high school newspaper advisor. The student newspaper editor and faculty advisor at Parkway West High School described a similar relationship at their school. But Mitch Eden, who serves as the Kirkwood High newspaper advisor and also helped develop the Cronkite New Voices Act, said it is well-known among the school community that the principal chooses not to practice prior review — and it is unlikely any staffing changes can change the status quo. “While I never say ‘never,’ the culture at KHS and shared philosophy of so many administrators, staff and students would trump anyone’s individual thinking,” Eden said. There is legal precedent allowing school officials to conduct prior review, thanks to a 1988 Supreme Court decision involving a St. Louis-area school district. In Hazelwood School District v. Kuhlmeier, the nation’s highest court determined that, since Hazelwood East High School’s student newspaper ran as part of a class — like most still are today — it was constitutional for the school’s principal to review articles student editors scheduled to run, and order them to be removed. The plaintiff in the Hazelwood case was Catherine Kuhlmeier, now Catherine Frey. In 1983, she was an editor at the high school newspaper, The Spectrum. That year, Hazelwood East High School’s principal objected to the subject matter of two articles written by her staff: one about teen pregnancy, and another featuring an interview with a student who talked about her parents’ divorce. A supporter of the Cronkite New Voices Act, Frey has testified for the bill to pass in Jefferson City. Now a Springfield-based paralegal, Frey decided not to pursue a journalism career after graduating from Southeast Missouri State University. But another student-censorship incident decades later would hit close to home — it involved Frey’s son, Eric Cowan. Cowan, like his mother, served as an editor of the student newspaper at Central High School in Springfield. He said in 2016, the principal removed a story about an off-campus water-gun game some seniors played before exams. The issue: the name of the game was called “Assassins,” which the principal thought was too controversial, he said. “The advisor came back and told us that we had to make another article longer to cover some space,” said Cowan, who is now a sophomore at Maryville University. Frey said the similarities between her and her son’s case show that high school administrators continue to censor student journalists. “What are the chances that my name carries a landmark case, and now my own child is censored as well?” she said. Back at Frey’s former high school in Hazelwood, prior review is still authorized by the school district. The Hazelwood district allows school authorities to “edit or delete material which is inconsistent with the district’s legitimate educational concerns,” according to district policy. But that practice isn’t what the school district leaders “expect” from its principals, said district spokesman Rob Green. He said the district trusts that principals are designating newspaper advisors to regulate articles before they are distributed. A Parkway West student said having a principal who gives their publications editorial independence from school officials is beneficial for her career goals. She said providing similar opportunities to student journalists in other schools is another reason why she wants state lawmakers to pass the Cronkite New Voices Act. The student newspaper at the University of Missouri-St. Louis has launched a crowdfunding campaign to keep the paper afloat next school year. This time last year the student government association declined to give The Current any money from student fees, so the paper now is funded solely through advertising and donations. 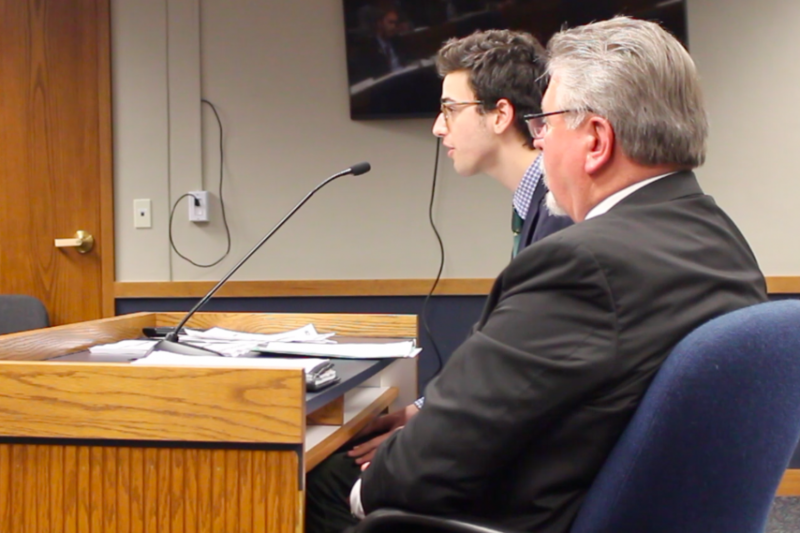 A bill in the Missouri House that seeks to ensure First Amendment rights for student journalists received overwhelming support in a hearing Monday night. The so-called Walter Cronkite New Voices Act would require public schools and universities to grant student journalists the same degree of free speech they would a professional journalist.